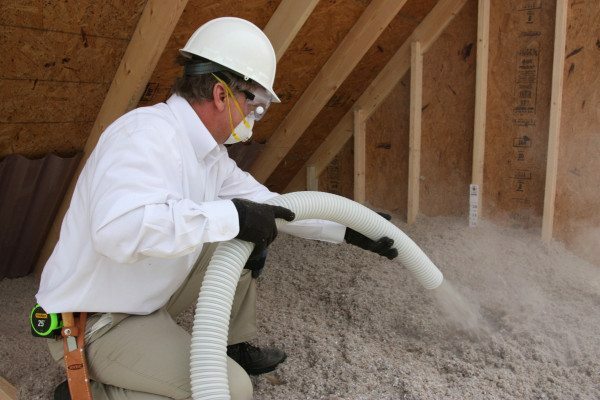 Installing T•A•P Insulation in your attic is a smart way to save energy while protecting against damaging pests. We all like to feel safe and secure. Whether your peaceful feelings come from a favorite sweater or an extended warranty, unpleasant surprises can make life much more stressful. One thing is for sure, nothing can disturb a person’s peace of mind in quite the same way as an unwanted house guest of the six-legged variety. When it’s very cold, it’s a good idea to wear a hat. When it’s very hot, it’s a good idea to do the same. We all know that the seasonal weather patterns in Maine, New Hampshire and Massachusetts vary wildly from muggy summers to frigid wintertime wind, ice and snow. Many homes, especially older ones, aren’t equipped with the current standards of weather protection. T•A•P Insulation, however, earns its Energy Star seal of approval. That’s because it’s made of dense cellulose to stop airflow, keep indoor drafts at bay and keep your heating or cooling dollars from flowing right out through your roof. When T•A•P Insulation is installed in your attic, it comes with an impenetrable boron substance. When common household pests encounter this coating, it quickly disrupts their digestive tract, rendering the creepy-crawly unable to eat or drink. This sends a clear message to destructive and disease-transmitting pests like ants, termites, cockroaches, silverfish, and other insects, that they are not welcome in your home. Even better, insects will not build an immunity to boron. This coat of armor is an effective deterrent for the entire life of your insulation. While boron is deadly for the insects that swallow it, it’s really a common element that we encounter daily, in everything from our food and dish detergent to bed sheets and laundry soap. In fact, the substance in T•A•P Insulation is about as harmful to humans as table salt. Additionally, the cellulose material that sets T•A•P apart is considered a better option than typical insulation, which is made of fiberglass. Not only is cellulose a more pleasant substance, it effectively helps muffle neighborhood noise. This makes life better for everyone living in your home. You can also rest assured that this product is a fire-safe choice: T•A•P Insulation is coated in a flame retardant proven to create a barrier and slow the spread of a house fire. T•A•P Insulation will save you money by reducing your carbon footprint. It also takes less energy to produce than standard home insulations and is made of 80% recycled paper. You can also cut down on waste with T•A•P: Unless you are already suffering from insect damage and infestation, there is no need to rip out and fill landfills with your current, intact household insulation. The Wildlife team at Modern Pest Services can install T•A•P Insulation right over your current household fluff. Learn about low-stress ways to improve your home and protect your family against unwanted insects and small animals by calling our experts at 1-888-997-3312. TAP® Insulation is a trademark owned by Pest Control Insulation Systems, Inc.